12 Leaf Brads. Mix of green, brown, and orange leaf brads. 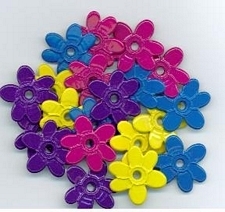 Size:19-22mm. 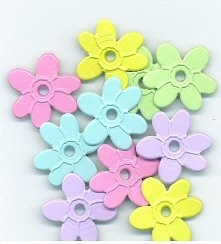 Leaf brads are terrific card making embellishments. 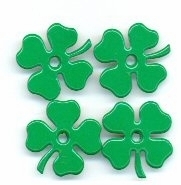 Leaf brads are perfect for cards and scrapbook pages. 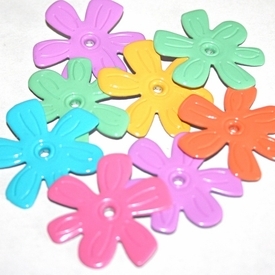 Leaf brads are easy to apply scrapbooking embellishments. To apply our leaf brads poke the prongs though your project. Turn project over and bend back the leaf brads prongs. 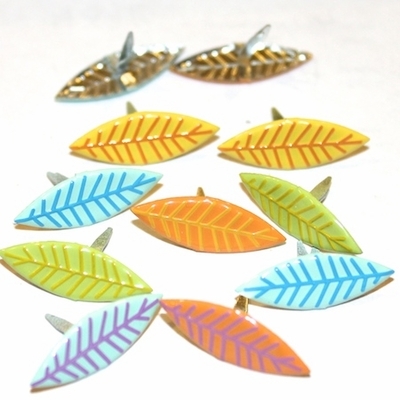 Leaf brads are quick and easy embellishments. Leaf brads will enhance hunting and outdoor scrapbook page layouts.